IEEE Bombay Section conceived the “Signature Symposia” to provide its members with a platform to share their expertise in a wide range of science, engineering and industrial research areas. These Symposia will offer excellent opportunities for students, researchers and industries to foster collaborations and to further their knowledge in the cutting-edge science, engineering and technology areas. The annual Symposia series are referred to as the IEEE Bombay Section Symposia (IBSS). 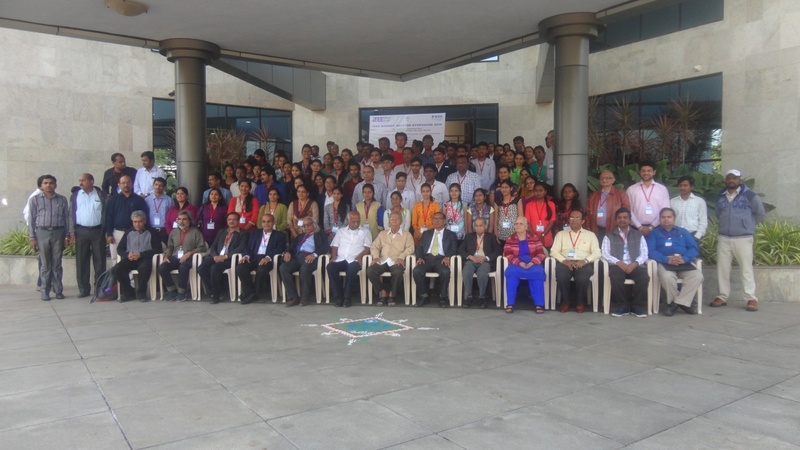 The second edition – IEEE Bombay Section Symposium (IBSS-2016) organised as one of the special events celebrating “40 years of Bombay Section” was held during 20 – 22 December, 2016. The Symposium venue was chosen based on bids from the potential host institutes spread across the Section, which were expected to satisfy a number of strict criteria that would enable successful organisation of the Symposium. The bids were carefully scrutinised by a committee, which chose Vidya Pratishthan’s Kamalnayan Bajaj Institute of Engineering & Technology (VPKBIET), Baramati as the host for IBSS-2016. It was befitting that this edition of the Symposium was held in a small town located far away from Mumbai. Besides the evening lecture, keynote and the summary talks delivered in their chosen fields by highly distinguished speakers, the Symposium featured 13 high quality review talks encompassing the core topics by senior experts and one contributory talk by a young researcher from the Symposium host. Special value adds to this edition’s technical programme are day-long pre-symposium tutorials with hands on training which were organised by industry experts. The tracks chosen for the tutorials were (a). Embedded systems, RFID and applications and (b). Internet of Things. All the sessions were plenary. In order to encourage students and young researchers to actively participate in the Symposium and present their work, papers based on their original work were invited. Out of the 120 papers received, about 25% were accepted after careful plagiarism checks and refereeing by at least two referees chosen from the research domain of the paper. The selected papers were presented as posters during the Symposium, out of which three best posters chosen by a panel of judges were awarded mementos and merit certificates. Manuscripts modified to incorporate the reviewers comments and suggestions, if any were submitted to the IEEE Xplore Digital Library. While welcoming the delegates of the Symposium, Prof. M.G. Devamane, Principal, VPKBIET, Baramati appreciated the Section’s sincere efforts to actively and effectively engage with its local communities, especially located far from the Section’s headquarter. As per the feedback received, the tutorials, the technical programme and the enlightening interactions of eminent speakers with the delegates were found to be academically rich, inspiring and highly motivating. The young contributory speakers struck an excellent chord with the student delegates with matching wavelengths in finding quick solutions to their research problems. The poster presenters found an excellent platform to share their work and opportunity to network with who’s who of the industry, academia and research. A cultural programme by the artistes from the VPKBIET, Baramati was an excellent way to unwind from a daylong intense technical sessions and discussions. We developed a highly informative and dynamic Symposium web page (http://ibss2016.ieeebombay.org/), which turned out to be single stop destination for all activities of the Symposium – including online registration and secured fee payment and so on. VPKBIET with its excellent ambiance turned out to be a great host for the Symposium. In all, it was a greatly satisfying event for various organising committees of this Symposium who toiled for months meticulously planning and executing all the tasks with able support from highly energetic student volunteers. Armed with success of this maiden Symposium, plans are already underway to organise the IBSS-2017 at another venue of the Section. We are hopeful that the IBSS will very soon reach to its rightful place as one of the best technical events of the IEEE India, while maintaining its signature of IEEE Bombay Section.